Business Analytics – How to Bridge the Gap Between Knowledge and Results Business Analytics Has Value – So What Is Holding Us Back? Facing increasing cost pressure from low natural gas prices, regulatory pressure from federal, state, and local authorities, and long-standing operational performance challenges, a large multi-unit nuclear operator turned to ScottMadden for guidance and assistance to transform its operation into a more cost effective source of safe, reliable, and emission-free electricity generation. While the nuclear operator had a history of safe operations, it was confronting regulatory pressures and operational issues. Its ability to attain operational performance targets on key industry measures was challenged. Historically, it had operated with significantly higher headcount and less efficient processes than its industry peers. As a result, the operator faced intense cost scrutiny, and market regulators required its senior leadership team to commit to reduce headcount, significantly, within 12 months. This created the immediate impetus to improve operations, so performance could improve while costs were reduced. This nuclear operator asked ScottMadden to lead its management team through our proven approach to improve its processes and more closely align the nuclear operator’s staffing complement to that of its peers and desired staffing model. When reducing staff, it is important to change how the work is done; otherwise, performance will degrade, cost reductions will not be sustained, or both. Secondly, the nuclear operator asked ScottMadden to assist it reduce headcount in a fair, ethical, and respectful manner that complied with all state and federal regulations. We focused on understanding the current workload and work drivers, compared this workload and its related processes to peer operators, and designed an organization and processes that fit the priorities of the company for the long term. Extra care was taken to focus on the appropriate organizational structure rather than the employees or contactors who might fill the newly created positions in the redesigned organization (i.e., we started with the structure and aligned it to the functions and processes before thinking about how to staff the positions). We developed, documented, and received legal approval for the selection process, which would be used to staff the new organizational structure. This was done to ensure that all employees who were, or were not, selected for a position would be treated fairly, legally, ethically, and with respect. We facilitated the staffing process with human resources, legal, and the leadership team to ensure the process was conducted as planned and well documented. Key steps included maintaining the diversity analysis and executing the resolution process. We led the change management activities for the effort. We developed and executed the communications plan with the communications team, engaged key stakeholders to participate during the staffing process (e.g., security, media), and developed the content for mass and targeted communications. 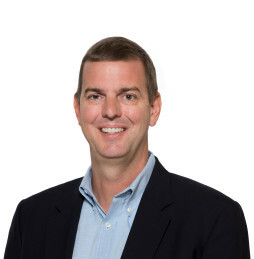 ScottMadden led the client through every phase of the organizational realignment effort. Our process made it easier for the management team to identify and focus on critical decisions. We assisted the operator in developing an organizational design based on benchmarks of peer operators, adjusted to create an apples-to-apples comparison, and scalable for future workload. ScottMadden’s re-staffing process resulted in a fully staffed organization that met all federal and state human resources regulations. There were no wrongful dismissal lawsuits against the client or its partners. Finally, ScottMadden assisted the operator institutionalize its staffing and selection process for future use. A hallmark of our service is that clients take ownership of new processes.